The ability to carry our kids over varying terrain and through ever-changing conditions is high on the priority list in our family. 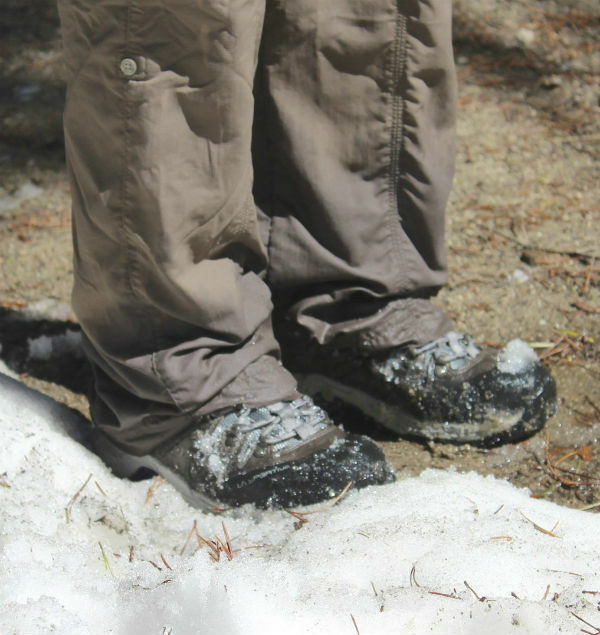 We heavily depend on our kid carriers for year-round adventures: hiking in the summer, skiing and snowshoeing in the winter. Kid carriers have come a long way over the past ten years so if you have a “vintage” one, it’s worth checking out a newer model. 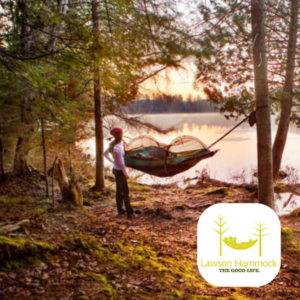 If the adults, as parents and leaders of the trek, aren’t comfortable, the likelihood of a successful day on the trail with kids decreases dramatically. 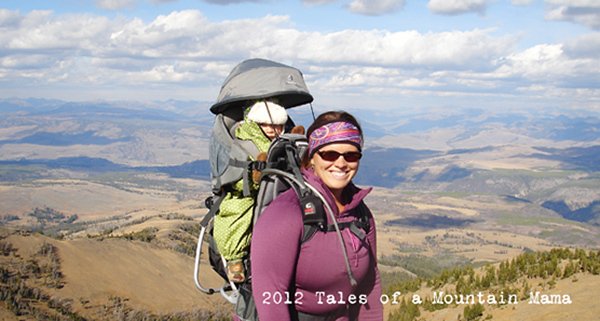 Over the past few months, we’ve had the chance to try out Deuter’s mid-level carrier, the Kid Carrier II. 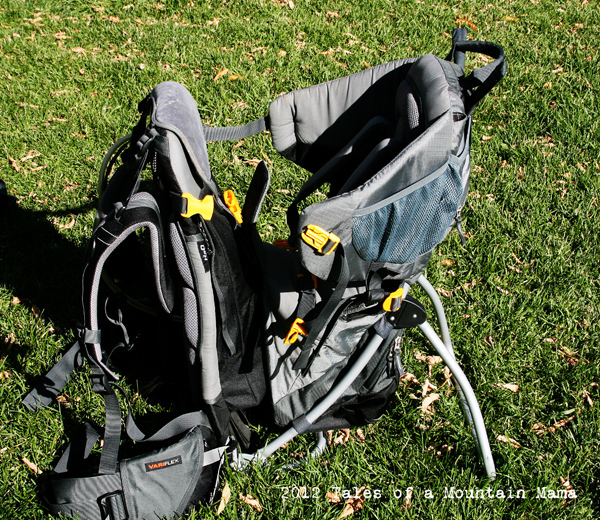 We are previous owners of the Kid Carrier III, so a comparison will be included at the end of this review. Our evolving preferences have surprised even us! 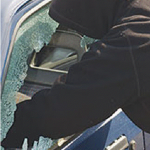 – Easy side entry means that the entire carrier opens up completely for easy in and out. This is especially helpful in the winter when kids are just wearing more clothing. – The Variflex Hip System allows for safe movement over rougher terrain while your heavy, precious load stays balanced and secure. – Exterior pocket perfect for stowing a snow shovel, extra jacket, etc. – Vertical Hydration system pocket for carrying a water bladder. The fact that it’s vertical allows for easier adjustments for hydration systems with shorter hoses. 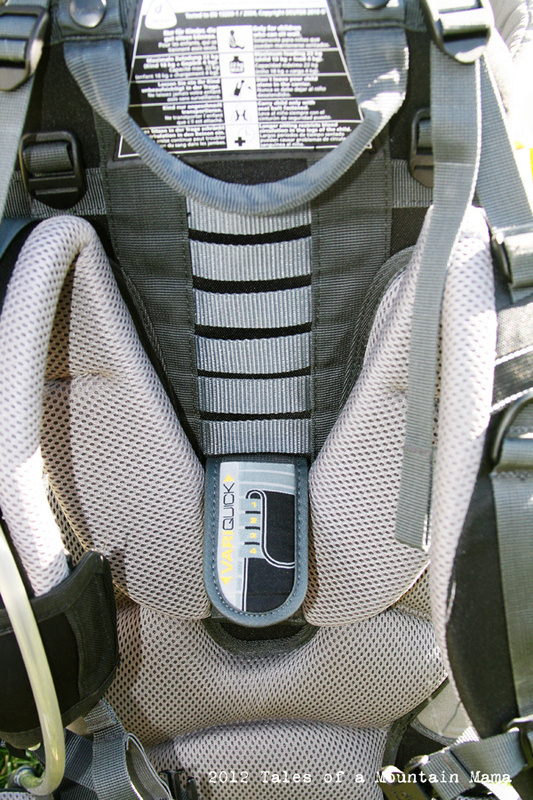 – The 5-point harness that secures the kids is not as adjustable as we would like. For little ones (our 16-month-old weighs in at a whopping 18 pounds) it is impossible to get it fully strapped down and the sternum strap in the correct place. The straps are padded, which is great for extra kid-comfort, but they limit those adjustments. – The harness is also clipped at their crotch area and at their sternum, which makes it more clumsy when temperatures are cooler and they are wearing more layers. I would prefer those adjustments to happen at the top of their shoulders. That said, this pack DOES open up very wide thanks to that side entry so you can pull it all the way out to get down to their buckles. – There are mesh pockets on the side of the carrier, but we wish one was better equipped to handle a Nalgene-sized water bottle. The hydration system is great, but we always carry additional water bottles. We found that our water bottles fall out every time the wearer leans down to adjust boots, etc. 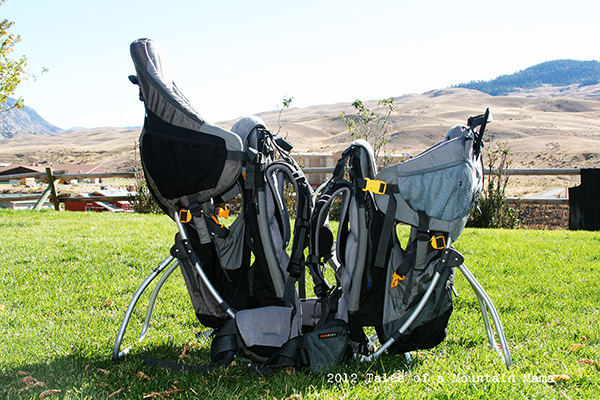 – We wish there were loops on the carrier to accommodate extra gear on the pack for backpacking trips with the kids. – 6 lbs. 8 oz. We have owned a Kid Carrier III for the past year and absolutely love it, especially for skiing where just the added protection of the higher back (nine inches higher than the Kid Carrier II) brings peace of mind. 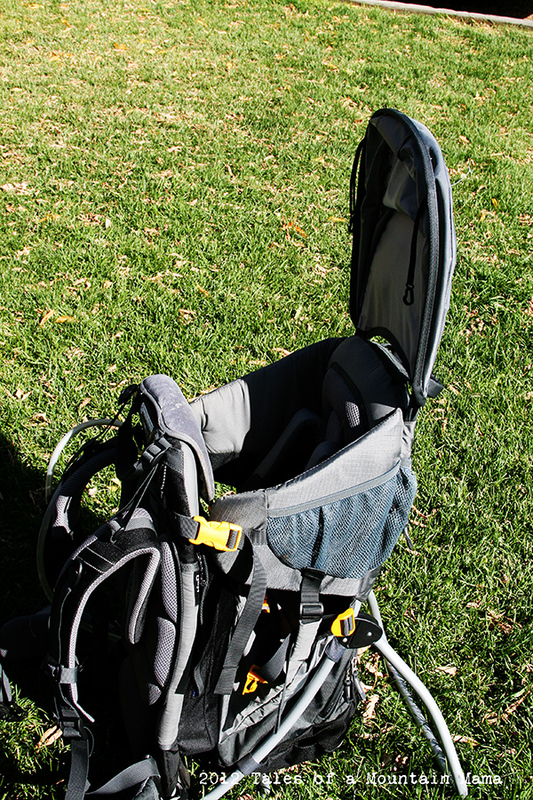 However, we were surprised to find out that this summer we actually preferred the more compact Kid Carrier II coupled with the sun/rain shade (sold separately). While the sun and rain shade is not built-in like it is on the III, it is detachable, flexible, compact and easily fits into any of the pockets on the pack. 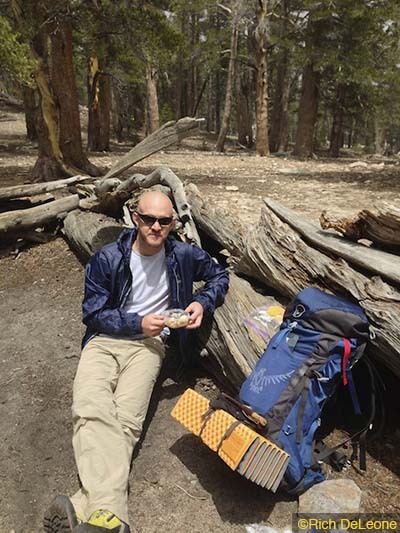 We have checked out removable shades for almost every carrier brand on the market and Deuter blows them all away. It slides in easily, doesn’t limit the child’s view and we don’t have to worry about “bounce-back” from the shade whacking them in the face, which is an issue without carrier’s removable sun/rain shades. Simple, safe, effective and easy to use! Weight of Carrier 6 lbs. 8 oz. 7 lbs 10 oz. Max Weight Load (kid + gear) ~48 lbs. ~48 lbs. 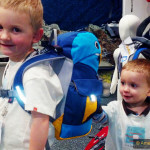 Though buying any sort of kid carrier is an investment that is best made with first-hand experience trying them on, the Deuter Kid Carriers fit most people well. 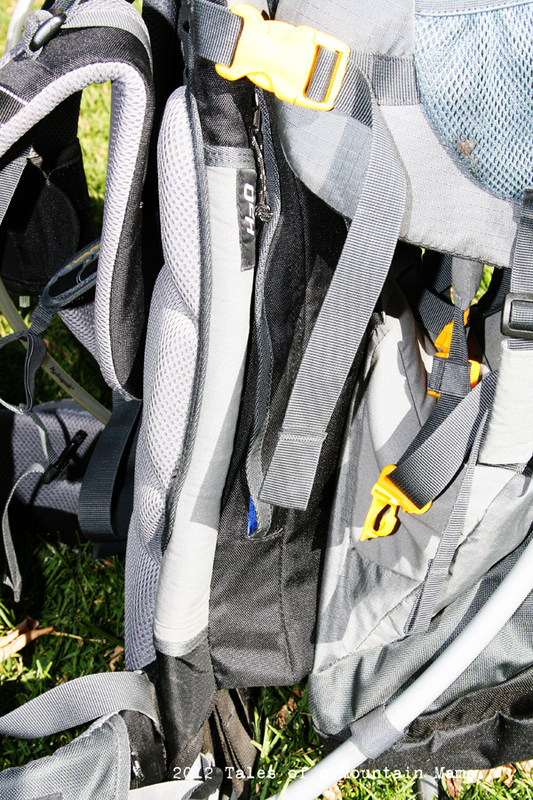 At 5’3”, I set it to it’s lowest shoulder strap setting and it can easily accommodate a 6’ something, hiker as well. 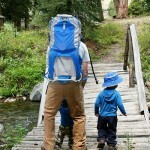 Like all Deuter packs, it is well thought-out, clearly with outdoor families in mind! 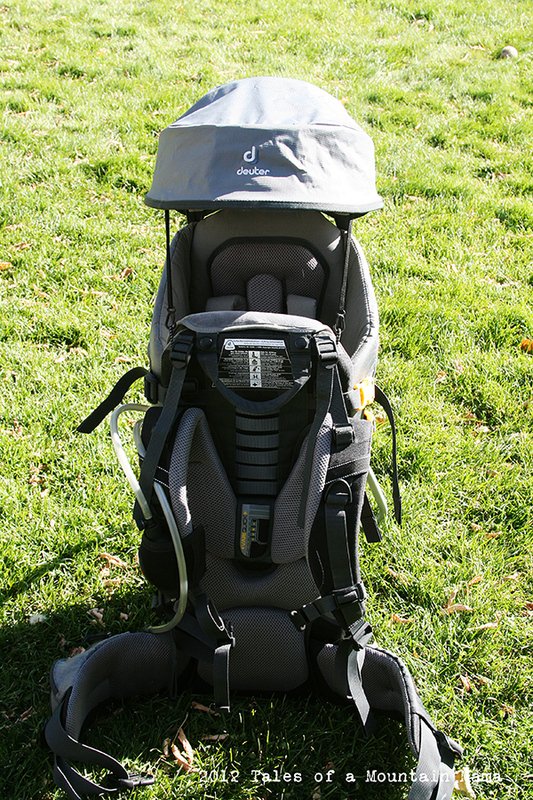 We give the Deuter Kid Carrier II two thumbs up!